Greeted by monsoonal rains and a chorus of frogs (cane toads???) the last few days have made for a seemless re-entry into Broome. I didn’t realise how much I’d missed the humidity, a trusted companion that is there wherever I go. Intimately occupying my space and making me feel like I can ‘touch’ being here, all of the time. Stepping out of Melbourne Airport 3 weeks ago, I knew I’d left something behind. There were many unexpected things that I encountered on my visit down south, one of which was a distinct feeling of not ‘coming home’. Unsettling, upsetting and the dawning of a realisation that my energy has finally shifted with me up north. So, where exactly is home for this roaming gypsy? Back to the rain… huge puddles and streets that had become creek channels were the welcoming party as I arrived back in the Kimberley on Sunday. Since then I’ve been trying to get a sense of what it is to be here in this place. Coming back this time is different though. I’m in town and the country which I’m usually camped on and connecting with 24 hours a day is to the north of here. 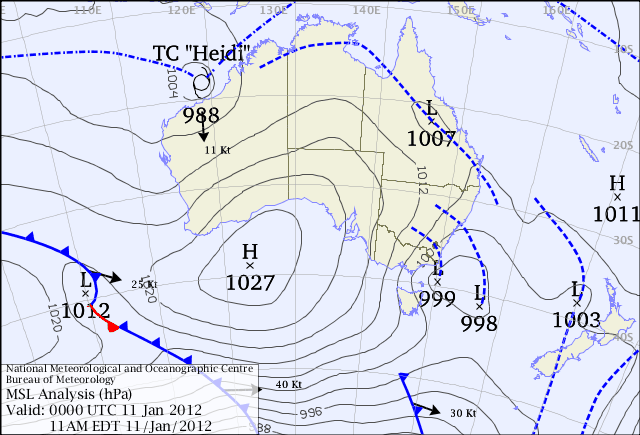 As soon as tropical cyclone “Heidi” pushes down to the south, I am keen to get up there somehow. For now though, ‘camping’ here at J’s beautiful home feels like a good place to get my head and heart around my purpose here.